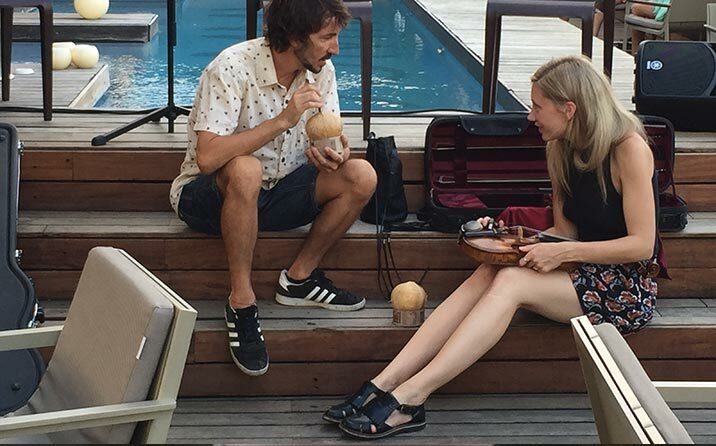 Fresh coconut water Genuine Coconut rises to the heights on the terrace of the Hotel OMM. 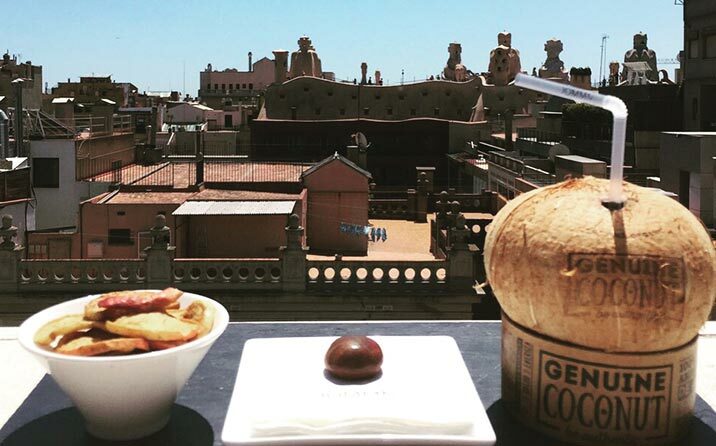 A few days ago… at Genuine Coconut we have been delighted with the response from people on the top terraces in Barcelona such as Gallito and Palmito, so we thought… why don’t we try in the evening? And when we do, why not go to the very top? If there is a terrace we really love it’s the one at the Hotel OMM. 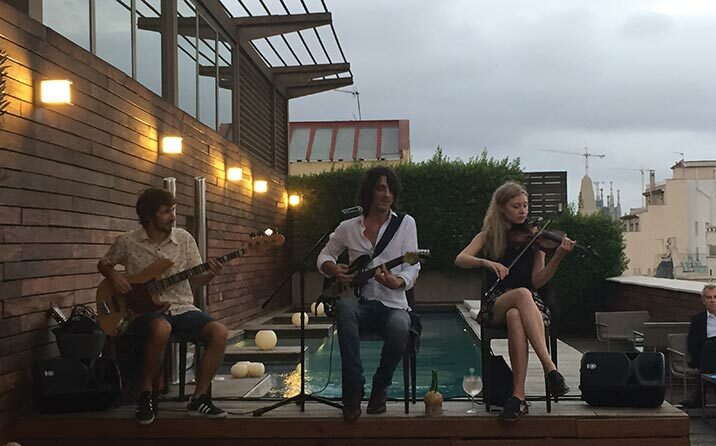 This summer they offer music programmes which fill the wonderful summer evenings with a great atmosphere. And if you add to this that it has one of the finest views over the city, there is nothing more to say. It was our chosen place for our next presentation. 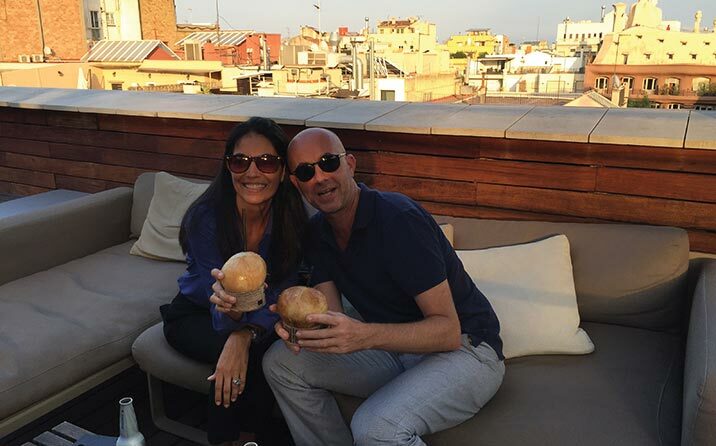 We talked to Raimon Serra (Director of F&B Hotel OMM Manager) and he opened the Hotel OMM terrace doors wide for us so that we could invite everyone who came that Wednesday afternoon to take a GENUINE COCONUT. 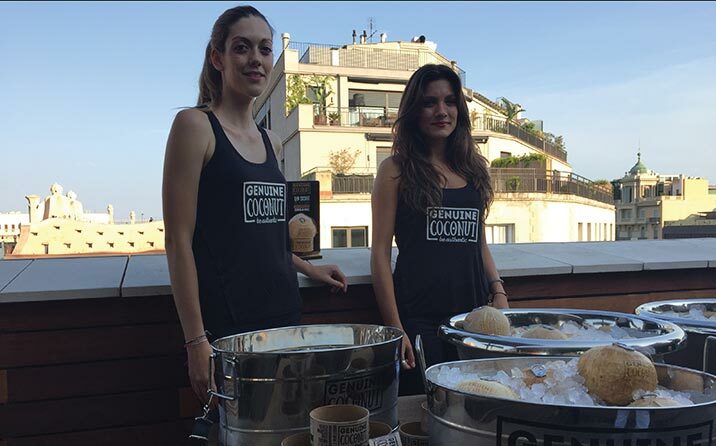 We were in festive mood and we confirmed once more that our 100 % organic coconut water (link to “coconut water” in our web) combines perfectly with watching the sun go down over the Pedrera in Barcelona. 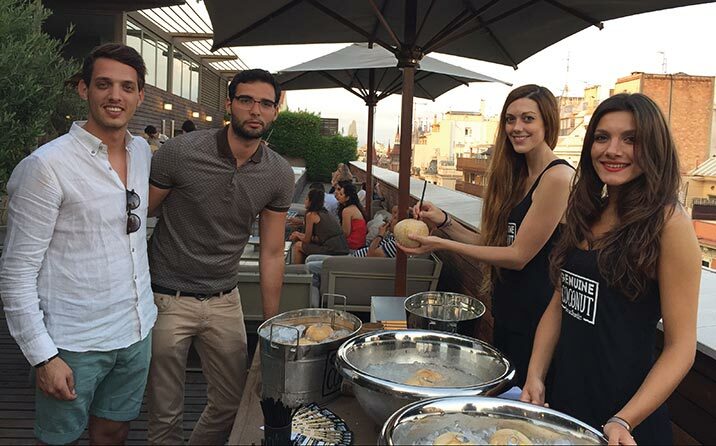 Both the hotel guests and our followers were able to enjoy a summer evening in one of the most essential places in Barcelona with Genuine Coconut. You only have to see the video to understand what we are telling you.